The reason I waited so long to write this post. This is a little bit of an explanation post, to explain why lately I’ve been so MIA and why for the first time in a while I think this blog is a little bit dead. I had the amazing oppurtunity to go on a mission trip to Guyana from August 16-23rd and ever since then I’ve been too afraid to make a blog post. I find it so funny because up until this point I had written all my other posts in hopes of reviving my blog so I would have people excited to learn about my trip. But now that I have actually gone to Guyana I’m so afraid of actually writing a post because I want to describe my experience and give it justice. I even wrote out almost a full post about Guyana only to accidentally close the tab. That post didn’t really matter much though, I was just forcing myself to write. The thing is right now I think I’m reading to write this post. Or I really hope that I am ready to write this post. One can only hope right? I was thinking about this question for a long time recently. Guyana is not my home country, India is my mother land. But lately I’ve been learning a lot about Guyana and more so about Guyanese culture and I was amazed by it. I found it so odd that I could go here and feel like the people living in Guyana were just like me yet completely different at the exact same time. I could go into what I’ve learned as of now about Guyanese culture but I’ll wait for another day to write about that. So I was learning about Guyana and then my mom comes to me and tells me she’s going on a trip to Guyana. I asked her if I could go expecting her to say no, and she did. But shortly after she said that ticket prices dropped and that she could now take me with her. I went thinking I would be the only 19 year old going in a group of 30+ pastors. But what ended up happening was a group of 4 of us “younger” folk signed up and we had the perfect amount of people to run a VBS and lead worship in Guyana. From the get go we were told we were in Guyana for missions work and not for vacation. That was still a really weird principle for me because Guyana felt like India to me and all the times I’ve been to India in the past, I’ve been on vacation. We were definitely not slumming it though. We had the opportunity to eat Guyanese or Guyanese “chinese” food every single meal of our stay and I loved it. It’s funny because when all four of us young adults were asked what part of Guyana we disliked the most it was always the mosquitos. The mosquitos and bugs just attacking you out of nowhere while you’re attempting to sing on stage. That’s another thing about Guyana, before going there I had this high resistance to singing in public. I didn’t want to sing anymore. But when I went there it wasn’t about me anymore, they needed singers and I could sing. End of story. It reminds me of this post I meant to write before leaving for Guyana but was yet again too afraid to write. God doesn’t call us because we are qualified, he qualifies the called. God wasn’t asking me to have the voice of an angel or amazing presentation skills. He asked me to be willing to go and speak for him when the opportunity arose and he asked me to not be afraid to sing his praises. And this kind of leads me to the close of this post, life post Guyana. I realize that there are so many things I have yet to tell all of you about Guyana but I feel like whenever I tell someone something about my mission trip there, I’m losing a piece of it for myself. That sounds really selfish but don’t worry I will share it all one day. But if I want to get at least one post up, I need to know I’m still keeping pieces of the story for myself. So, what now? 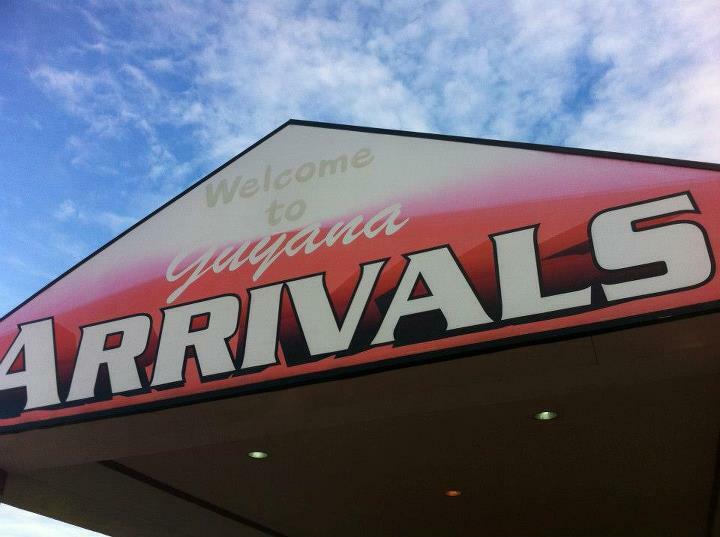 What happens to life after leaving Guyana? Life after leaving Guyana was actually not hard to transition into, yet really hard at the same time. I found myself not even really sure of what to do with myself entirely. On the way to the airport back home to America everyone was saying how they would miss Guyana so much but I was too afraid to miss people. I told the people around me to stop because they wouldn’t really miss them. They might miss those around them for a little snippet of time, but that’s all. This was yet another thing that I was wrestling with and its something I’ve only recently come to terms with. I live in the city and meet new people everyday that I will never see again. And this put a toll on me emotionally because I grew up in a small elementary school and a relatively small high school. It hurt too much to miss all these people around me. I told myself to stop missing people to feel better, but how could I really? I was losing my empathy and love for the lost by marginalizing those around me. As of right now I’m still struggling and dealing with what my life really is post Guyana. What is my purpose anymore? And do I leave all the problems I saw in Guyana and default that I’m just a kid too young to help. I don’t think I can do that.